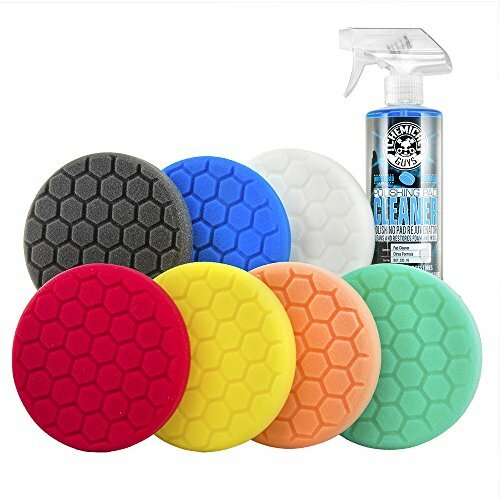 Details: The Hex-Logic 5.5 Inch Buffing Pad Kit includes seven pads and a 16 ounce bottle of the citrus pad cleaner. This pad kit is ideal for all buffers and polishers. It works with Dual Action Polishers, Porter Cable, UDM, Flex Polishers, Makita, DeWalt, Hitachi, Matibo, Harbor Freight and all Hook and Loop backing plates. 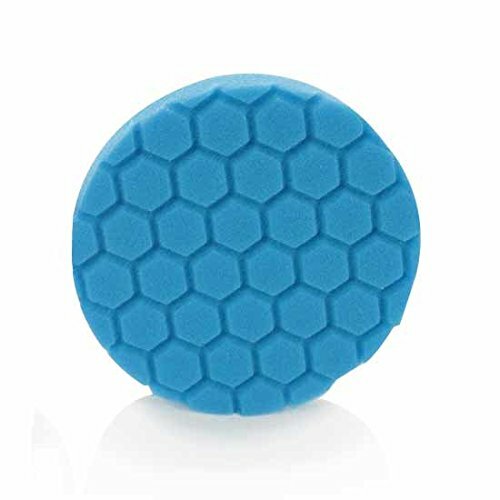 This buffing pad kit includes one Hex-Logic Heavy Cutting Pad (yellow), one Hex-Logic Swirl and Scratch Remover Pad (orange), one Hex-Logic Heavy Polishing Pad (green), one Hex-Logic Perfect Surface Polishing Pad (white), one Hex-Logic Glaze and Light Cleaner Foam Pad (blue), one Hex-Logic Finishing Foam Pad (black), one Hex-Logic Ultra-Fine Finishing Pad (red) and one 16 ounce bottle of buffing pad cleaner. 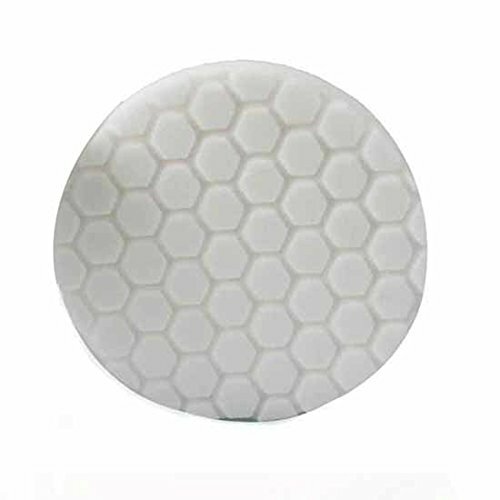 The Hex-Logic Chemical Guys Pads are meant to work on flat or rounded/angled surfaces. 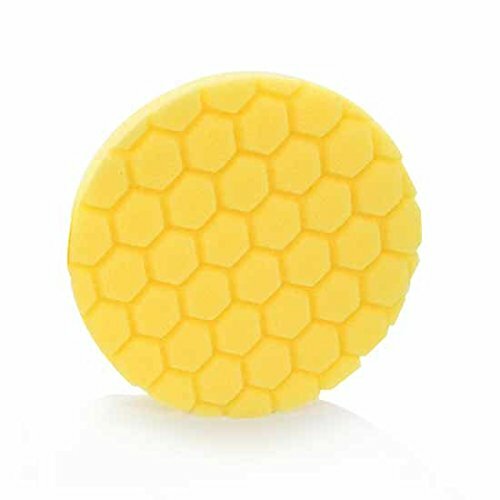 The unique construction of the pads makes them extremely easy to maneuver while allowing the correct amount of product evenly distributed through the pad. 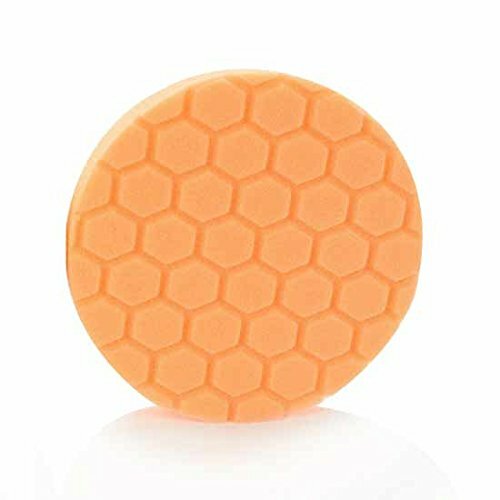 Hex-Logic Pads keep the product in the groves while you start and as the pad is spun and rubbed against the surface the polish will travel through the hex-groves into the pad evenly delivering a superior accurate finish, while keeping the surface constantly lubricated to reduce friction and marring. The unique Hex Laser Cut Surface of the pad enables Hex-Logic pads to conform to the shape of the surface delivering maximum surface contact. 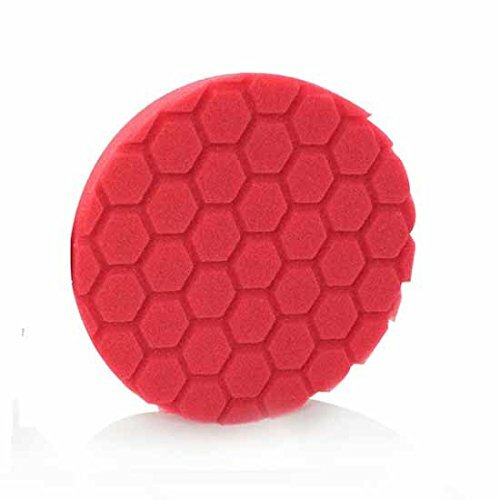 Unique Hexagon construction form perfectly to a vehicle’s many curves while the unique pad construction reduces unnecessary heat. 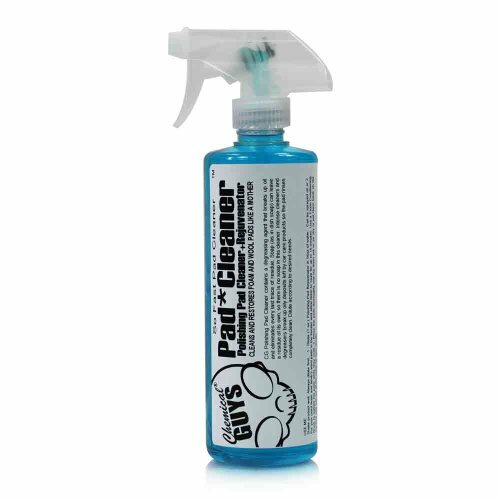 The included citrus based pan cleaner and conditioner contains a citrus degreasing agent that breaks up oil and eliminates every last trace of residue. 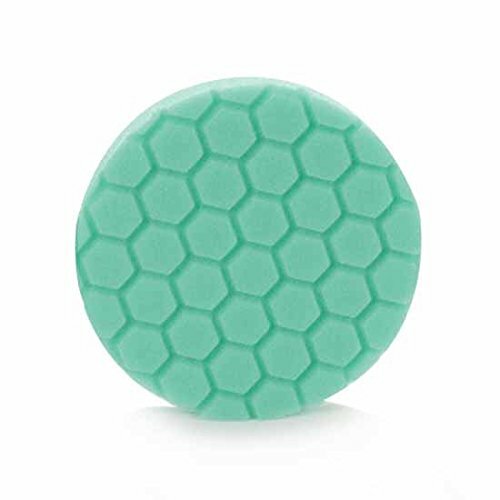 From wax, polishes, glazes, compounds all the way to dressings and greases, this pad cleaners leaves pads clean and new.